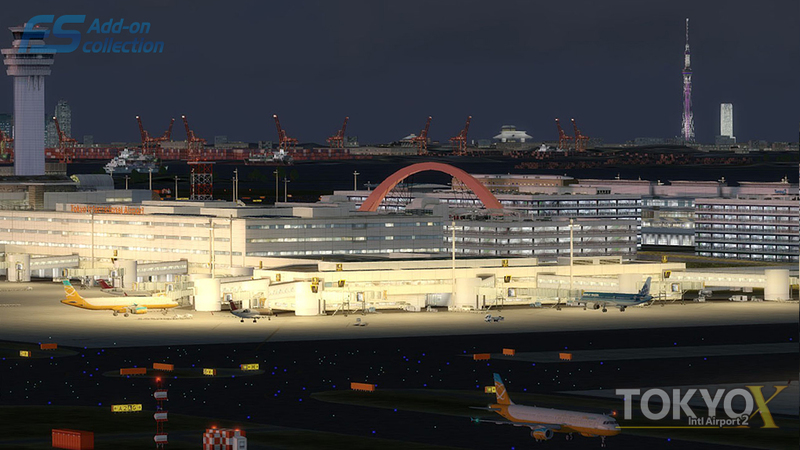 Tokyo International Airport is the leading airport in Japan. 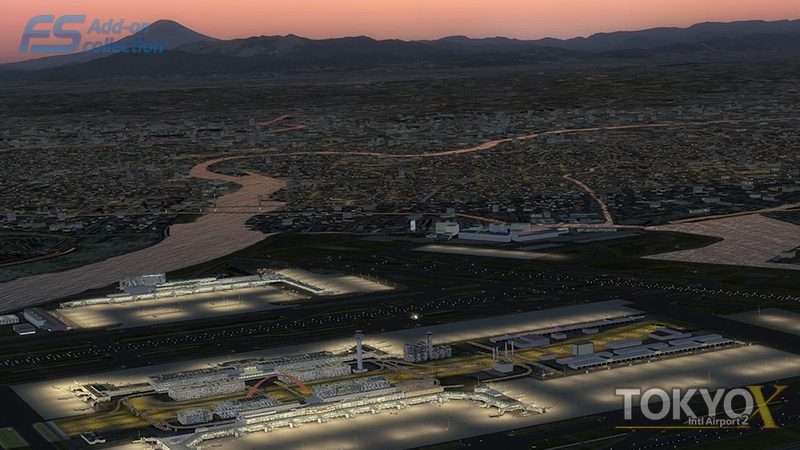 Being closer to the capital Tokyo, it is one of the busiest airports in the world in the passenger traffic. 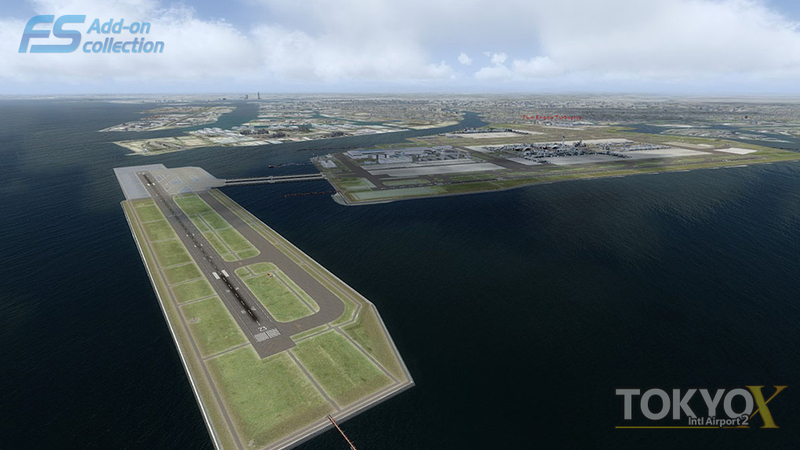 The airport has 4 runways (RWY 16 L / 34 R, 16 R / 34 L, 04 / 22, 05 / 23) of 2500m or longer. 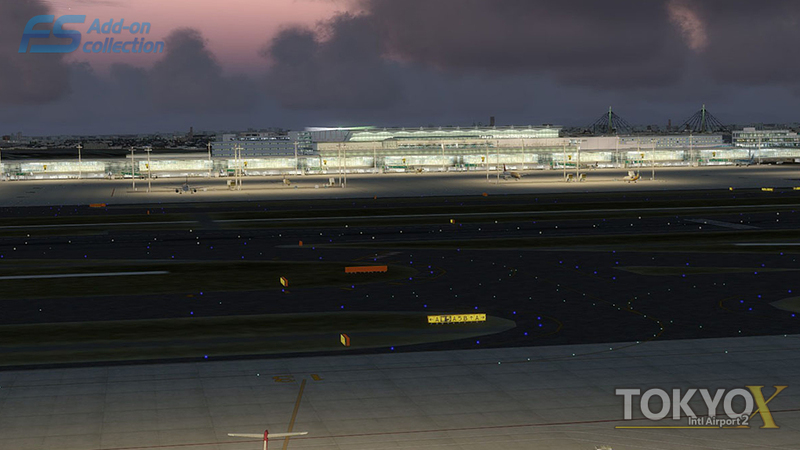 ILS approach to RWY 34 L, 34 R is used mainly in winter, and LDA approach to RWY 22 / 23 in summer. 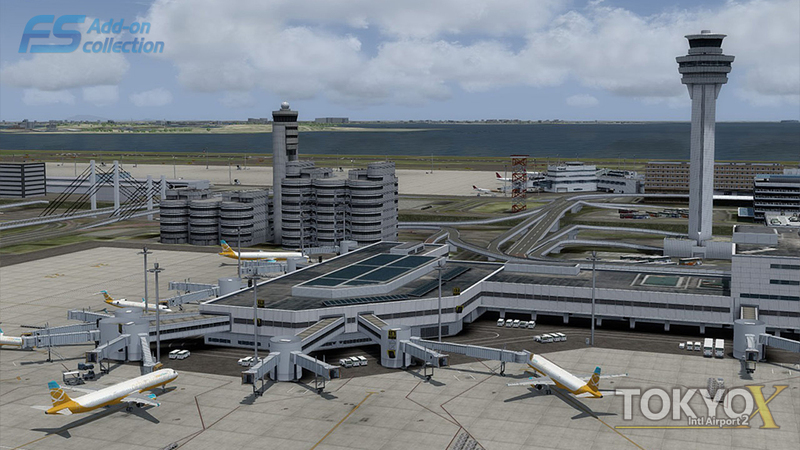 The annual number of arrivals and departures of aircraft is approximately 400,000 transporting as many as 70 million people, one of the largest in Japan. 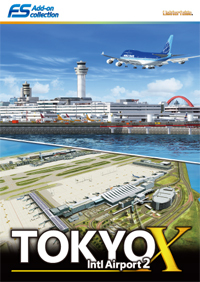 Periodic passenger flights, charter flights and business jets other than airlines are also taken in, and the airport is used by state guests and officials to visit Japan with their own dedicated aircraft. 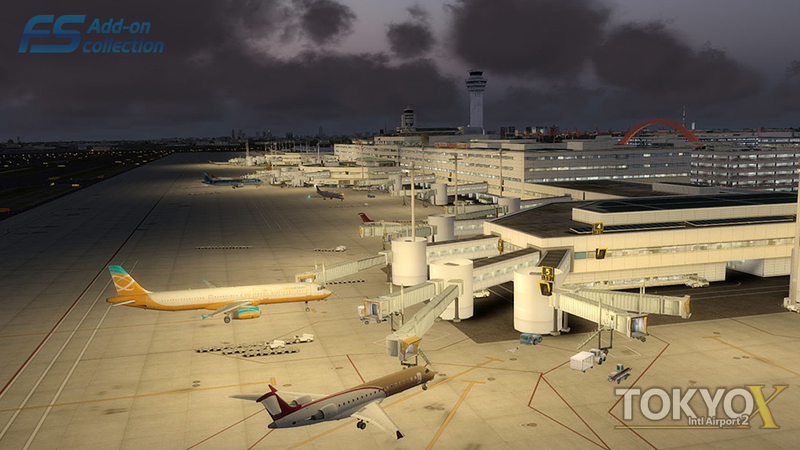 Also, where international flights and cargo flights arrive and depart from late night to early hours. 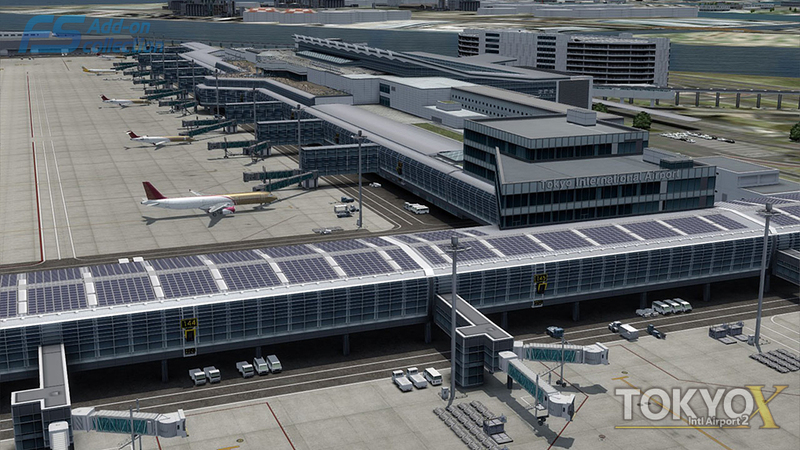 In this product "Tokyo International Airport 2" Haneda has been elaborately created with careful attention to coverage. 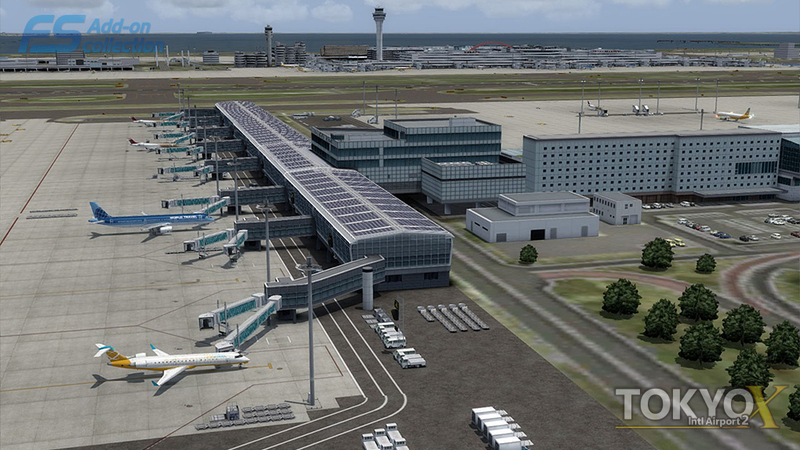 Some ingenuity includes a runway RWY 23 / 05 which is not in the default, expansion of the new international terminal / terminal 2, and C runway for enabling the operation of long-distance large international flights. FS Add-on collection series is made in JAPAN. The modeling of the buildings are good. The ground textures are where this package comes up short. 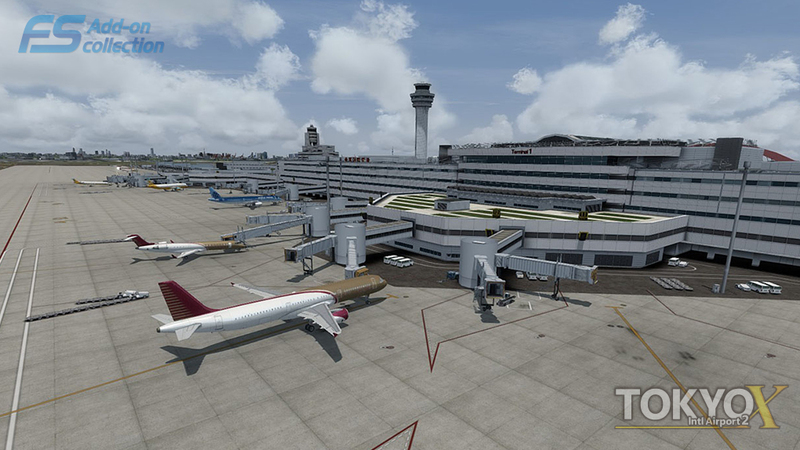 Not all that good on the detail and not even the same colors of the real airport. The taxiway signs are amateur. 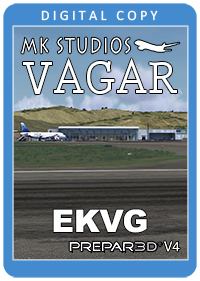 This airport is priced on the level of Flightbeam, ORBX and FlyTampa. But, comes nowhere near the level of detail of those other products. I would compare this package to Blueprint Simulation sceneries. 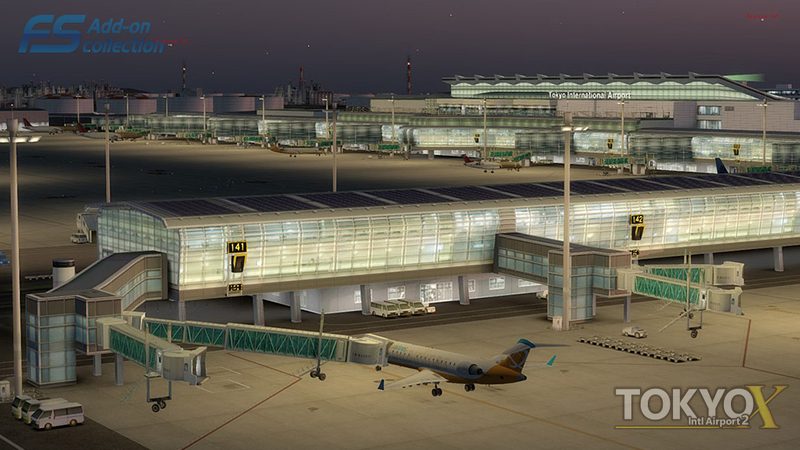 WOW WOW this scenery and airport are amazing very well detailed and just like the real airport and harbour and docks and the city love the night Texures Aswell plenty of well lite up taxiways and love everything in this package so a very well done to the TECHNOBRAIN TEAM on a fantastic package 10/10 from me :) ;) an amazing job. The quality of this product is far from advertised and does not reflect the massive price tag. I don't understand the other reviewers that led me to my purchase. 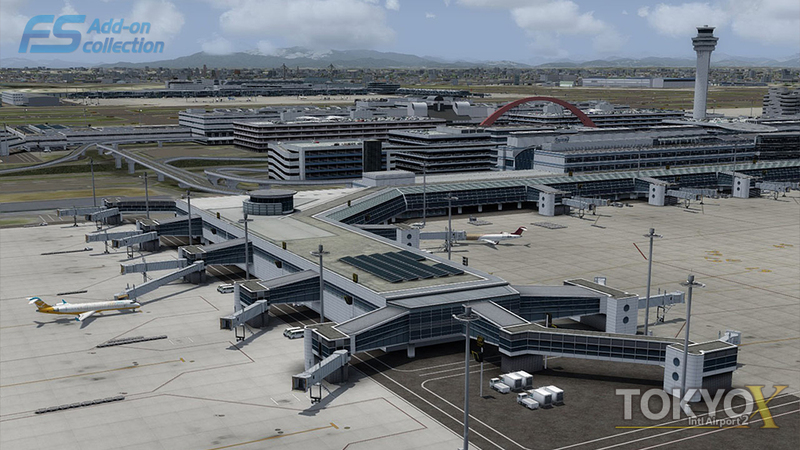 It is as if its a ported FS9 scenery. This is a great produce. A lot of detail. I am glad I bought it. I purchased the boxed edition of this scenery about two years ago. The quality is excellent and the frame rates are very good indeed. The prices here in Japan tend to range from around a maximum of 59 Euros (at 130 Euros to the yen) to 39 Euros for the sale price. FS addons in Japan tend to be quite costly, but I hope the sale price here shows that this will change in the future. I now have six of the Technobrain products; I don't mind having paid the "Japan" price because they are very well made and I use them a lot. I hope they can create more fans outside Japan in order to encourage more people to fly to their airports and to try to provide these sceneries at more competitive prices. I agree with the majority of reviews that the pricing is too high even with a 25% discount. This is not to say this airport is not well done. The signage is excellent and the airport markings as well. Night lighting is very good and the frame rates are acceptable if using a moderately fast PC. The price demands more scenery area to be covered but that is my only complaint, therefore a four star from me. 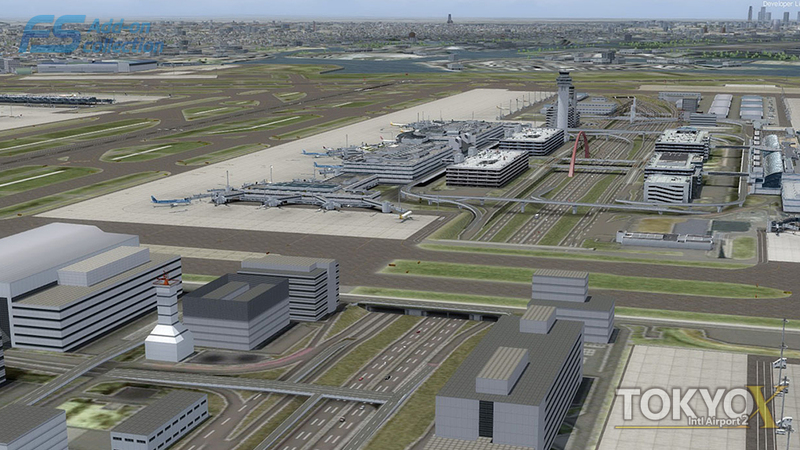 Great to see such a detailed scenery of Tokyo Haneda at last! Good performance and great detail. 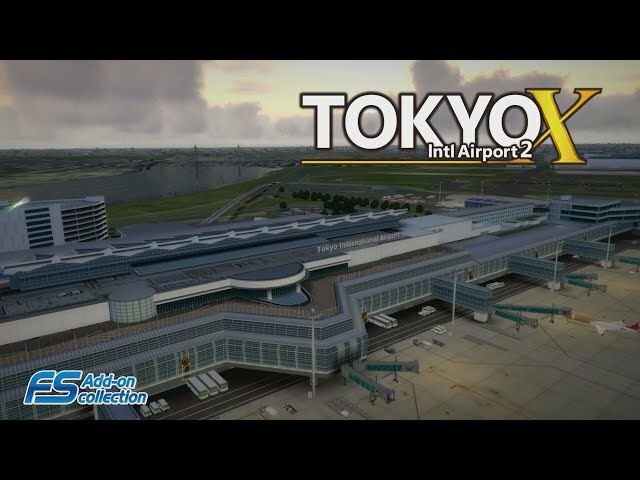 Price is a little high compared to other products of the same standard but it's certainly worth it as you get an airport with four runways and three terminals. Look forward to more from this developer. 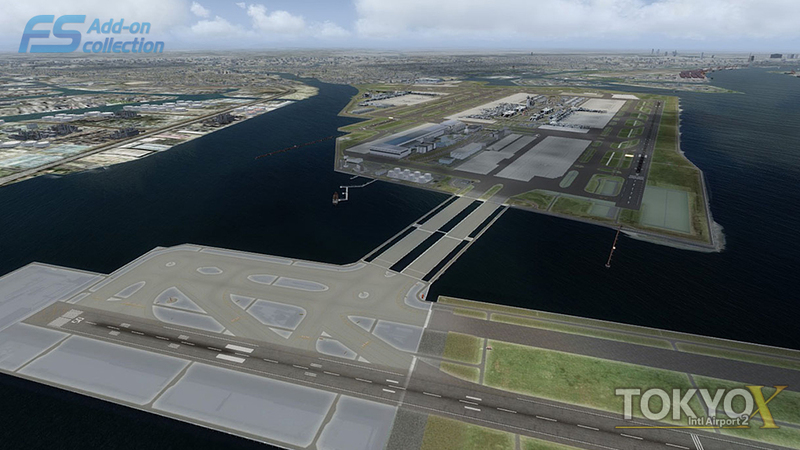 Finally an excellent Haneda scenery. Solud performance on my system so good i bought the Samscene Tokyo city to go with it. Hope to see Technobrains Naha, Kansai and all there other scenery soon. Very nice scenery, must have if you main ANA/ JAL. Looks gorgeous with Samscene's Tokyo. 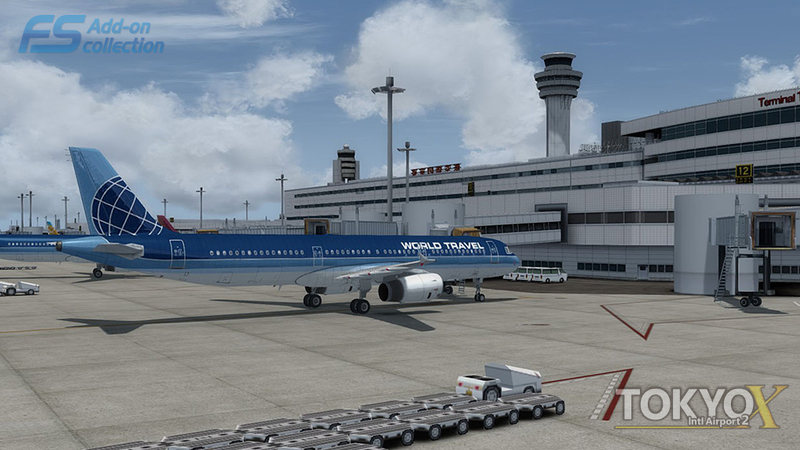 I run a 2600k with 8GB ram and GTX980 and with high-ish settings I get about 20-25 FPS in any time of day/ weather with the PMDG 747 V2. I gave it 3 stars because it's way too expensive for the level of quality offered (performance + looks). 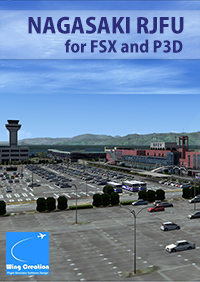 I'm also not certain that the scenery is compiled with the P3D V4 SDK (which might explain the terrible framerate). I suggest the developer consider lowering the price and improving framerate. Japan desperately needs more addon sceneries. I purchased the boxed edition of this scenery about two years ago. The quality is excellent and the frame rates are very good indeed. The prices here in Japan tend to range from around a maximum of 59 Euros (at 130 Euros to the yen) to 39 Euros for the sale price. FS addons in Japan tend to be quite costly, but I hope the sale price here shows that this will change in the future. I now have six of the Technobrain products; I don't mind having paid the "Japan" price because they are very well made and I use them a lot. I hope they can create more fans outside Japan in order to encourage more people to fly to their airports and to try to provide these sceneries at more competitive prices. 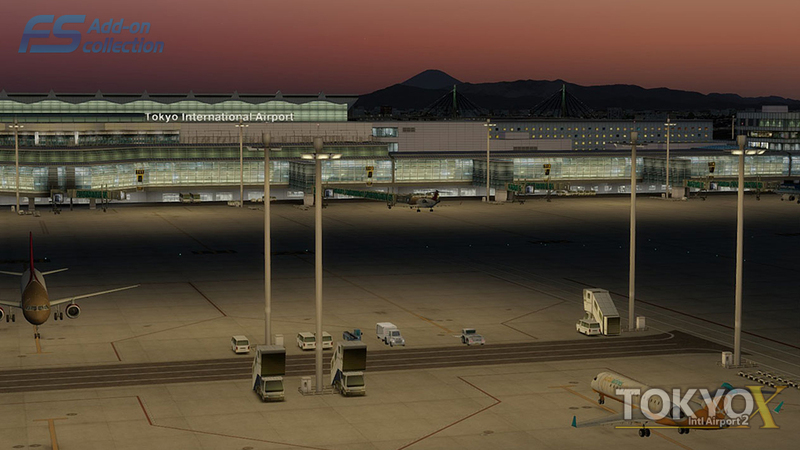 Finally an excellent Haneda scenery. Solud performance on my system so good i bought the Samscene Tokyo city to go with it. No issues. Hope to see Technobrains Naha, Kansai and all there other scenery soon.